One of the biggest complaints from people that live in Surrey is the lack of independently owned and run restaurants serving amazing food. Granted me have a handful and the ones we do have are amazing, but it wouldn’t take you long to work your way through them all and then be left with the chains. Well WeFiFo is changing that, and the way we go out to eat all together. Summer has arrived // Brixton beach again! Brixton beach has been given a make over! You may remember me posting a while ago about my fave little breakfast spot on Brixton hill, F Mondays. Well, it has some competition! In London we’re constantly looking for the next exciting activity. We’ve had all the varieties of mini/crazy golf (swingers, junk yard, etc..) which have had us ticking over for a while now. But now its time for something new! There is a bit of a theatre theme this week on the blog. But this show couldn’t be further from The Royal. 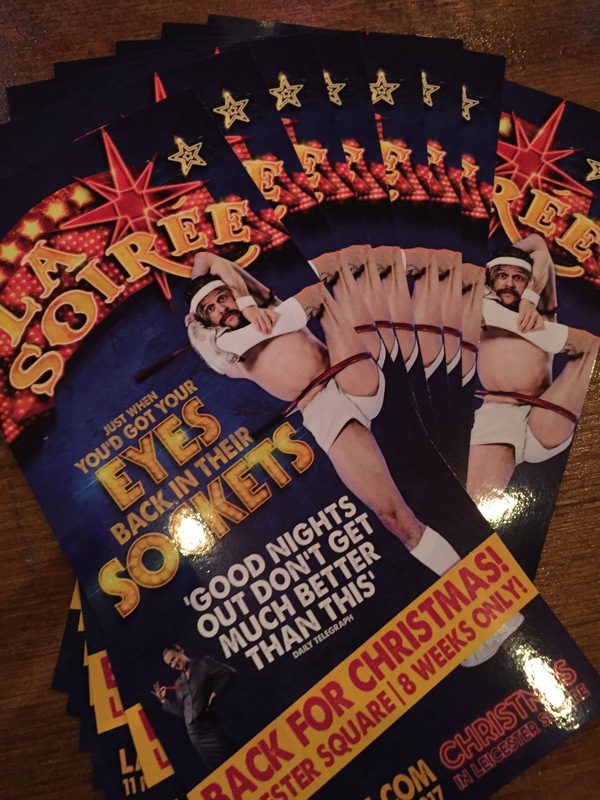 The best way to describe La Soirée is, like going to an amazing adult version of the circus……with some rather graphic adult interludes, all done in jest of course! If you guys are on social media half as much as I am, you must have seen all the little side ad’s or videos of this Summers must have product – The LayBag – going round. A few weeks back my housemate found the most incredible deal…..£10 tickets to go and see The Railway Children. I frigging loved Breaking Bad. Like A LOT! I didn’t initially, I tried watching it a couple of times when it first came out and just couldn’t get into it, but when I started re watching it last year I got seriously hooked. It’s safe to say there was a Jessie size hole in my heart when it ended. 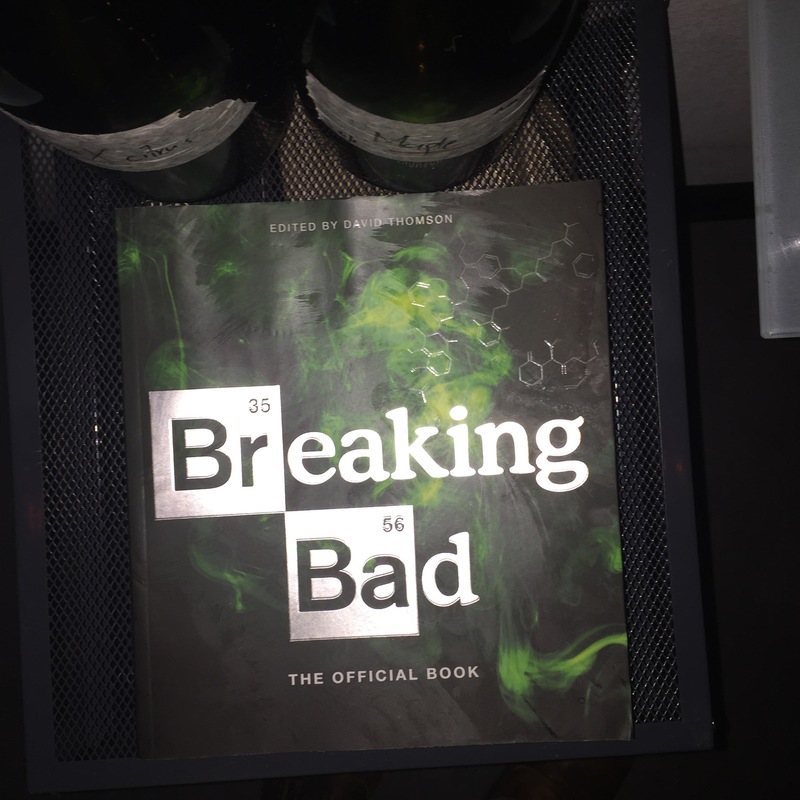 So when I heard about ABQ’s Breaking Bad pop up I knew I had to go! Luckily my boyfriend knows me too well and this year he added it to my list of birthday activities/presents. Catching up with the girls is probably one of my fave things to do, and when it’s sunny and your in London, Covent Garden tends to just call you! So when the lovely Shay and I get together it always seems to be the place we head to! 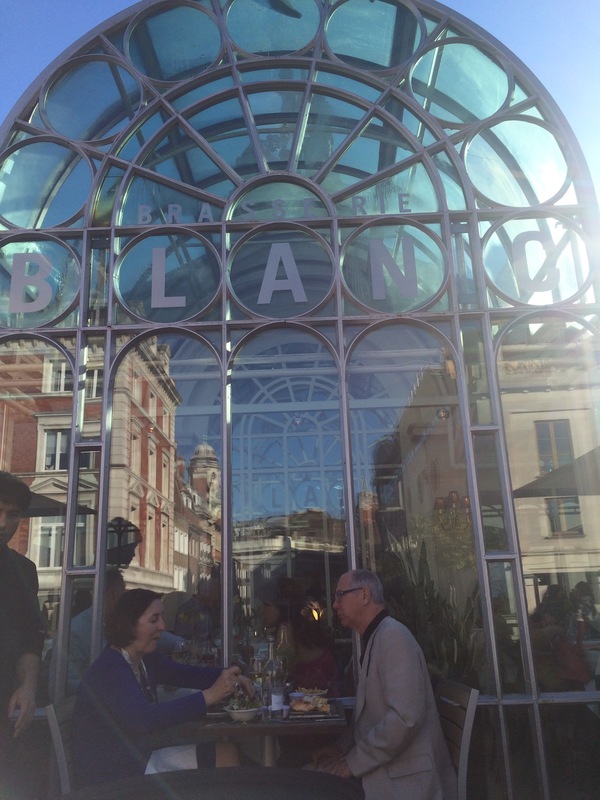 On this occasion we popped into Brasserie Blanc, at the top of the piazza with a balcony the runs along the whole width of the place, it’s the perfect outside dinning area for drinks in the sun and some people watching! As I previously mentioned, I went to taste of London! It was fantastic. Make sure you go next year if you missed out this year. While I was there I got chatting to a lovely chap called Harry who worked for Deliveroo. For those of you that haven’t seen all their ads all over the tube, they are a new delivery company with a twist. Unlike “justeat” or “hungry house” that will deliver you food from any takeaway restaurant, Deliveroo will bring you food from your fave restaurants that don’t offer a delivery service for a small fee of £2.50. They even deliver to your office! Great idea right! That’s what I thought when I first heard of them a couple of months ago.